Hanford will be hosting an multi activity camp at Hanford over the summer holidays to share our wonderful facilities and teachers. 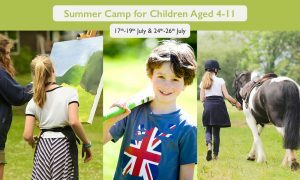 The camp is non residential and is designed specifically for children both girls and boys, aged 4-11. The three days will cost £180 with a discount on sibling bookings. Instructors will be drawn from the Hanford staff and qualified instructors where necessary.